For the past decade, Cathy McMorris Rodgers has crushed every Democrat who's challenged her. This year may be different. It would take a tsunami-sized blue wave to topple a Republican like Cathy McMorris Rodgers in the solidly red 5th district in Eastern Washington. A Democrat hasn't won more than 40.4 percent of the vote in her district in the past decade. But some recent polls are triggering tsunami warnings. A recent CNN poll gave Democrats an 18-point advantage on a generic ballot over Republicans. And while that poll still looks like an outlier, the average poll still gives Democrats more than a 12-point advantage. "I’ve been eying this district for the last few weeks," Dave Wasserman, U.S. House editor of the Cook Political Report, tells the Inlander about Cathy McMorris Rodgers' district. "You know, ordinarily, it would not be a seat that would come into play, as you know. These are not ordinary times, politically." Right now, McMorris Rodgers' district has a Cook partisan voter index score of R+8. That means that her Eastern Washington district is about 8 percentage points more Republican than the rest of the country. According to New York Times data wonk Nate Cohn, a Dem margin of +18 moves the partisan voter index score by about 9 points in the Democrats' direction. Theoretically, that's enough for a Democrat to win. "If Democrats do win the House vote by 18 points — which I consider to be unlikely — then we’re talking about seats like Washington's 5th in play," Wasserman says. "Some of these seats would definitionally be vulnerable." Time was, he says, it was nearly impossible to unseat an incumbent in a leadership role. A leadership role meant you could play Santa Claus for your district, bringing home a steady pile of presents in the form of earmarks. But earmarks have been eliminated in a self-imposed Congressional ban since 2011. "A leadership position in a party is not necessarily an advantage like it used to be," Wasserman says. "When you’re in a leadership position like McMorris Rodgers is, you're the face of the party, you’re attached to signature agenda items like a tax bill." And the tax bill, which dramatically slashes corporate taxes, is massively unpopular. Only about a third of the country supports it, according to a CNN poll. "If the tax bill is underwater nationally as much as polls say, it's underwater in the 5th district," Wasserman says. Some of that unpopularity may be tied to misconceptions. Only about 14 percent of the country thinks their own taxes will go down, while 50 percent anticipate a tax increase. In fact, most Americans would get see their taxes go down at first, at least until the individual tax cuts expire in 2025 (the corporate tax cuts will not expire). But some Americans won't see the direct impact of the tax bill until April of 2019. "Perception matters more than reality, politically," Wasserman says. "The perception is that this is a bill that benefits rich people or corporations. That’s not by a small margin. That’s by a wide margin." Now, there are some caveats. It's still really early. A lot can change in 10 months. And these are national numbers, not the stats for individual congressional districts. For example, you could see a scenario where liberal bastions like Seattle vote even more overwhelmingly for Democrats, while conservative areas like Spokane County remain stubbornly Republican. Vote margins would change, but the outcomes wouldn't. But there are other reasons, Wasserman says, to believe that McMorris is vulnerable. "McMorris Rodgers has not racked up the kind of margin, that we would expect that a long time incumbent, particularly in the top two primary phase," Wasserman says. "She only received 42 percent of the primary vote in the 2016 election." That's pretty weak for an incumbent in leadership, he says. And this year, national Democrats are actually gunning for her seat. "If there’s a wave election in 2018, Democrats are hoping they can take out a member of the Republican leadership," Wasserman says. "It’s not clear that [Speaker of the House] Paul Ryan will run for re-election. 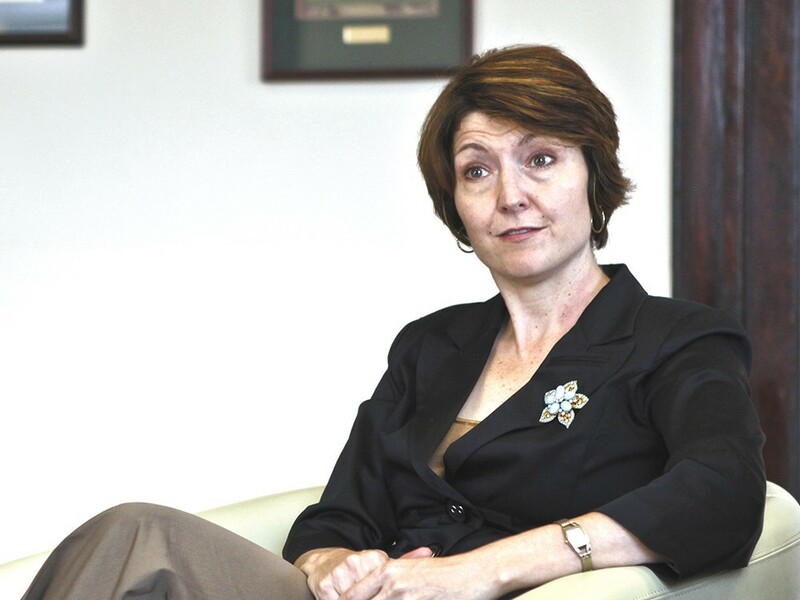 It would be a surprise if McMorris Rodgers did not run for reelection." Democrats, he says, also see the "ghosts of Tom Foley." Foley was a 30-year Democratic incumbent in Washington's 5th district, and Speaker of the House, until Republican George Nethercutt took him out in the 1994 wave. Also, the recent results of Alabama's electoral upset may also provide some potentially good news for McMorris Rodgers' opponent Lisa Brown. Brown has a lot of similarities to Senator-elect Doug Jones. She's unapologetically liberal, but she's not brash, gaffe-prone, or particularly controversial in her liberalism. She doesn't give speeches brimming with the fiery progressive zeal of, say, Spokane City Council President Ben Stuckart, who dropped out of the race. But like Jones, she portrays herself as somebody who can work with anybody. She's not someone whose mere presence as an opponent will turn out Republicans to defeat her. Of course, McMorris Rodgers isn't particularly brash or fiery in her conservatism either. She votes, almost without exception, for the Republican party line. She's certainly no Roy Moore. In other words, a Cathy McMorris Rodgers and Lisa Brown race may be the closest you could get to a generic Republican vs. a generic Democrat. Right now, Cook still has McMorris Rodgers seat as a "Solid Republican" race. But depending on how the next 10 months go, Wasserman says, that could change. If McMorris Rodgers were advising Trump: "I would say, 'release your tax returns."